Pushing the boundaries of electronic music since 2002, the creative output of sound, experimental music videos, and multimedia-rich shows by the three Berliners, Gernot Bronsert, Sebastian Szary, and Sascha Ring is currently at its zenith. As well as their music commonality, all three share a love of classic cars from the 60s and 70s, a welcome contrast to their technology driven days. 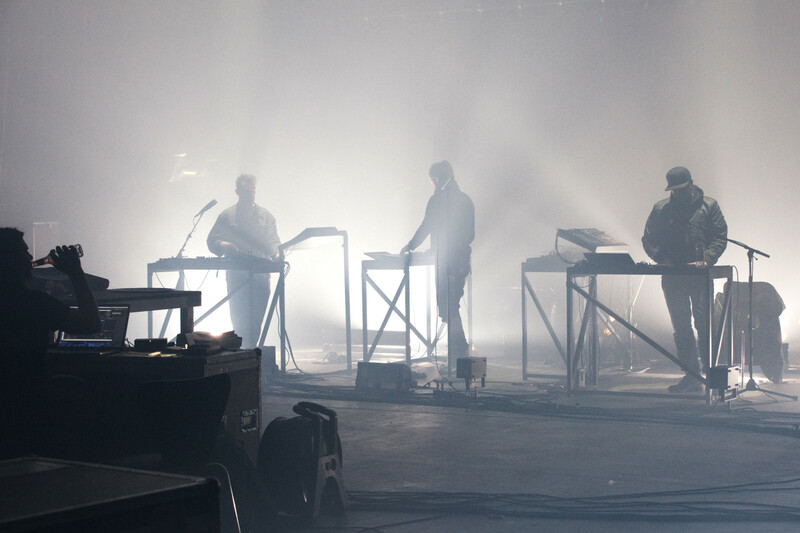 The trio talk us through their shared history of techno, the mechanics of collaborative work, and the concept behind the futuristic live show for the “III” tour, developed in collaboration with Berlin design agency Pfadfinderei. FvF were invited along to a Moderat rehearsal for an exclusive look at how the synthesis of their visuals and sound comes to life. This interview comes from a collaboration with automotive magazine Intersection and forms part of our ‘Friends of Cars’ series. 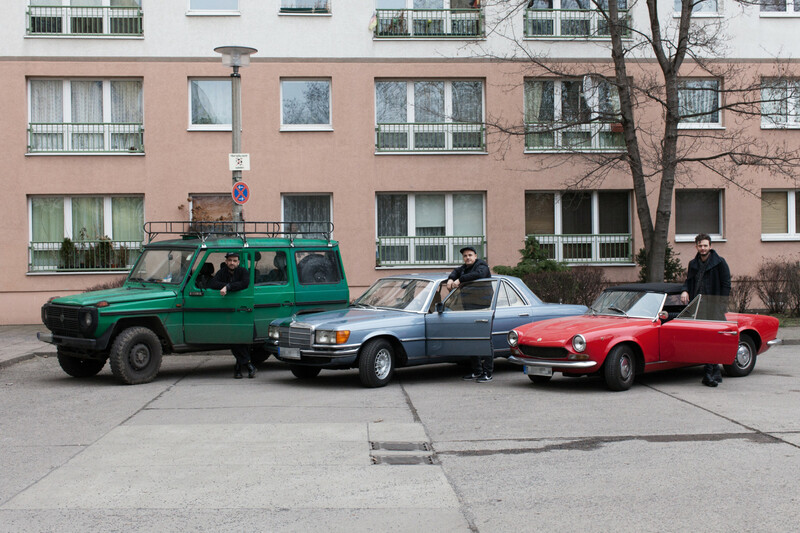 Find out more about Moderat’s passion for automobiles in the issue #25 of Intersection Deutschland. Sascha: After our second album came out in 2013 we began to find our flow. We were on tour and had started making music again quite soon after. That was important for us. After our first record together in 2009 we first of all took care of our own projects and had to then completely reorient ourselves. Szary: This time we were—you could say—in the mode! The album sounds more compact, more precise. It’s as if you had an even better sense of what you really wanted. Gernot: I also prefer this record. It has a different confidence to it. We trusted ourselves more. But, it was, as always, a painful experience. Does it always have to be so masochistic for us? Gernot: The Beatsteaks have their rehearsal space directly under our studio and are always like, ‘Our record will rock.’ They make it sound so easy. Sascha: The music is another thing though. When they say they’re going to record an album, then the songs are usually already finished. There’s another level of pressure behind it for us. Gernot: But wouldn’t that be cooler? Rehearsing every week, then the bassist thinks up a song and it’s already as good as done. On your social media there were photos of string instruments and palettes that you had been drumming on. How has your way of working developed? Gernot: They’ve all been thrown out again. Sascha: In the end we just used them for the Facebook photo [laughs] Gernot: We really tried a lot. Strings, wind instruments, percussion—but in the end we didn’t use any of them. As always, it was trial and error. Trying things out until it works. It’s not some record that we recorded in an ice cave with Steve Albini on LSD. Sascha: We also didn’t jam as much as we did on the last album. Everything was a bit more organized. Because of this, the album probably also has more of a classical structure. Szary: We experimented a lot with types of rhythms. Techno songs in 3/4 time, for example. What role do routines play after all this time? Gernot: I sometimes wish we were more routine. Gernot: Our poor short-term memory plays a pretty critical role there. Often we figure out things on tour but forget about them by the time we’re done. So then in the studio you start again at zero. Sascha: On top of this, each time we record it’s in a different studio. I could imagine for the next time really taking a break. Here in Berlin it’s not easy to block out the all your commitments—business and family life. It’s only every so often that you can shut the studio door that leads directly into the label’s office. What do cars have to do with techno? Gernot: A lot. As young ravers we spent a lot of time in the car parks in front of clubs! You spent the whole weekend in the car when you were in a big city. Sascha: In car park raves the big Mercedes were always really popular. You knew straight away that there were drugs there. Gernot: Do you remember E-Werk? We had one of these little Nissan Transporters. One of those tipped over telephone booths. We put a sofa in the back, a yucca palm, and partied! Szary: At the beginning of the ’90s a lot of Rennpappen [a DIY-style East German Trabant] had been updated a lot. Nice equalizers at the front and a big bass system in the back. It had an impact on the sound of country life. Instead of the motors you could just hear an “umtz-umtz-umtz” on the highway when you drove past. Gernot: The panes used to always clatter. The cars eventually fell apart. What music reminds you of this time? Gernot: The tracks the come to mind are: Timeless Altitude by Secret Cinema, Wizdom to the Wise by Dave Clark, and Café Del Mar (Kid Paul Mix) by Energy 52. Sascha, you were actually a motorbike fan, but some time ago you had a bad accident. Sascha: Yes, since then I drive. Gernot: We’ve banned him from riding motorbikes. Sascha: It’s not only you, I’m bowing to everyone around me. I needed a substitute. I like engines. When I’m done with music I want to properly fiddle around with cars and be near to nature. It fits that I got myself a convertible. Gernot: It fits perfectly [laughs]. The combination works perfectly: the car is small and Sascha is really tall. I ask myself all the time how you even fit inside. Sascha: Driving a car isn’t as physical. On the motorbike you’re at one with the vehicle. But my discovery of driving with the top down brings me a little closer to that motorbike feeling. It surprised me. It’s a good substitute. Do modern cars just not do it for you? Sascha: I’ve always been a forward-looking kind of person, but at the same time, more and more I like older things. Old furniture, old cars. It’s the ’60s in particular and the great design from the era that’s done it for me—whether it’s Eames chairs or Pininfarina cars. It sounds cheesy, but these things have a soul to them. Szary: We do also have our day-to-day cars. They’re newer, but they still have to go for a service and when I take them to my mechanic he always says, ‘These new cars, they’re all rust buckets.’ At first you don’t see it, but when you look under the hood you realize: that’s not going to last long. The cars are built so that they don’t last—a catastrophe of the throwaway culture—and new cars are also really expensive. Gernot: A 40-year-old Mercedes is built to last forever. The pieces are huge. You’re currently in the midst of preparations for your tour. How would you describe this phase in comparison to working together in the studio? Gernot: The preparations are intensive. The start of the tour goes like this: album finished, a short breather, press in different cities, telephone interviews, back into the studio. 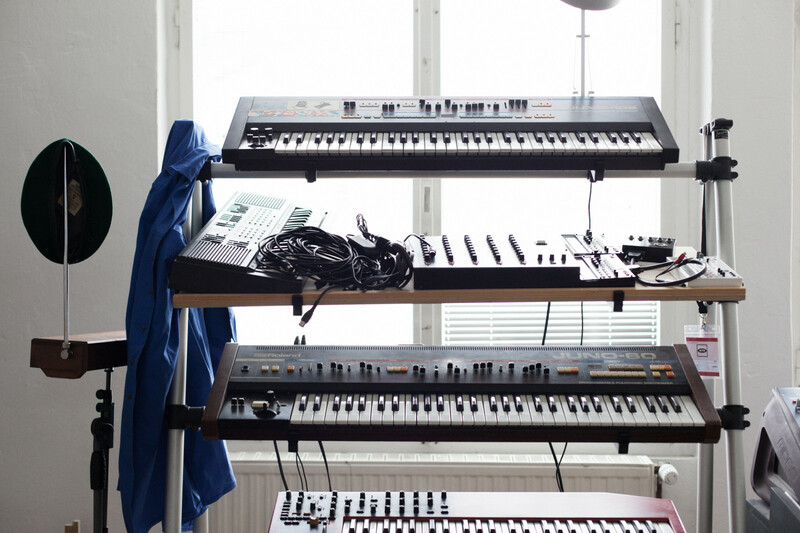 All the materials for the tracks are then ‘surgically’ dissected in the studio for the live show. Parts of certain tracks either just don’t work for the live show or on the other hand sometimes they need to be lengthened. Has this process changed over time? Gernot: A lot has changed of course on the technical side. From the laptop to the stage it’s not just sounds being transmitted, but also a number of control signals for light and video. Technically, it’s a lot more complicated. 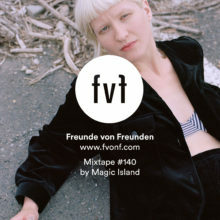 The Pfadfinderei have been responsible for your the visual translation of your music for some time now. What’s special about your collaborations? Gernot: We share the same artistic language because of our common history. We’re both at the most important stage of our development. In general, how important is the visualization of your music? Gernot: It’s a really important element. You could imagine the Moderat live show as being almost like a film showing with the soundtrack played live. What is the idea behind the video for your single “Reminder” and how much were you involved in the development of this? Gernot: There were two stages to it. First of all there was the story, this almost futile fight against evil, and then there was the technology that the video was produced with. For the production, it was a collaboration between Pfadfinderei and Sehsucht who are also based in Berlin and specialize in games and 3D/VR—they’re responsible for the visualizations like the kind you see in video games. The kicker is that there’s also a virtual reality version of the Reminder video that you can watch with VR-glasses so you can really be in the middle of it all. You have to try it out at least once. Thank you Gernot, Szary, and Sasha for the insight into your daily working life and sharing your endearing love of cars with us.